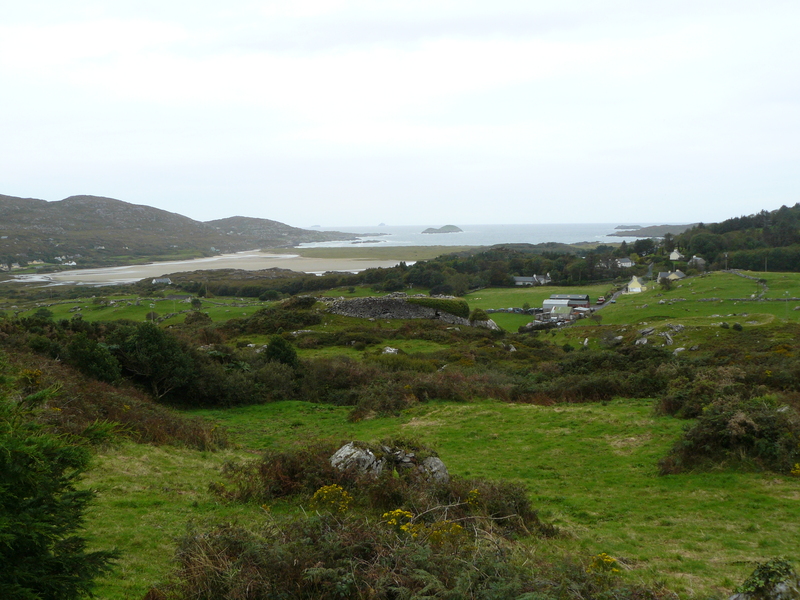 Ireland is one of my favourite places in the world so I decided to repost a post I made on HH World Travel, with some minor changes, which is a blog I wrote with a friend of mine. Such a beautiful country, can’t wait to go back! Writing my post on the Inca Trail and thinking back on all that rain made me think of other rainy vacations I’ve had. I’m generally a fair weather traveller, I try and go places when the weather is likely to be decent, although the weather doesn’t always cooperate of course. There are some exceptions, I’ve been to England for New Years a couple of times, Iceland in April, the Faroe Islands in early June, the Inca Trail in Peru in January, and of course out to the mountains in the winter as they are beautiful any time of year. I knew for each of those trips that it was unlikely to be warm and sunny. Generally for me too much rain has the potential to ruin a holiday, but in Ireland somehow it didn’t matter. Of the 14 days of the trip I only had one day when it didn’t rain. 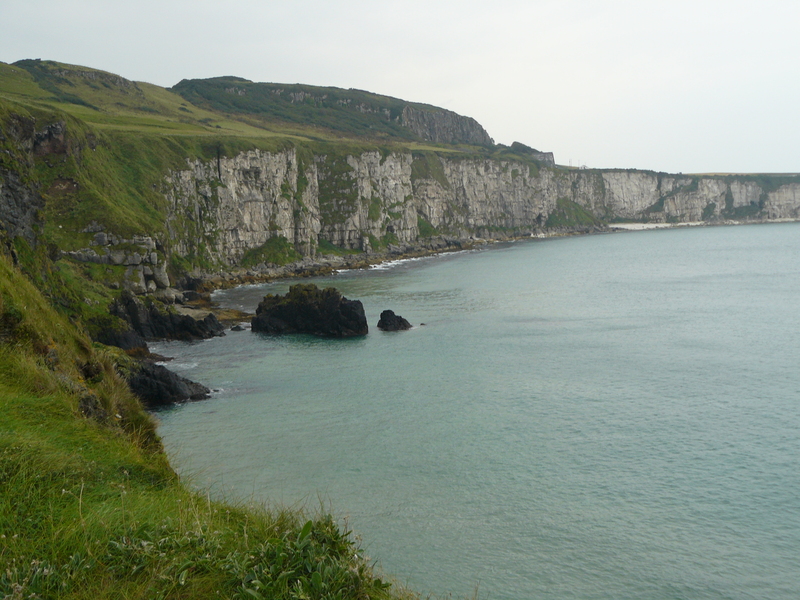 Yet it is one of the best trips I’ve ever taken and I would go back to Ireland in a heartbeat. 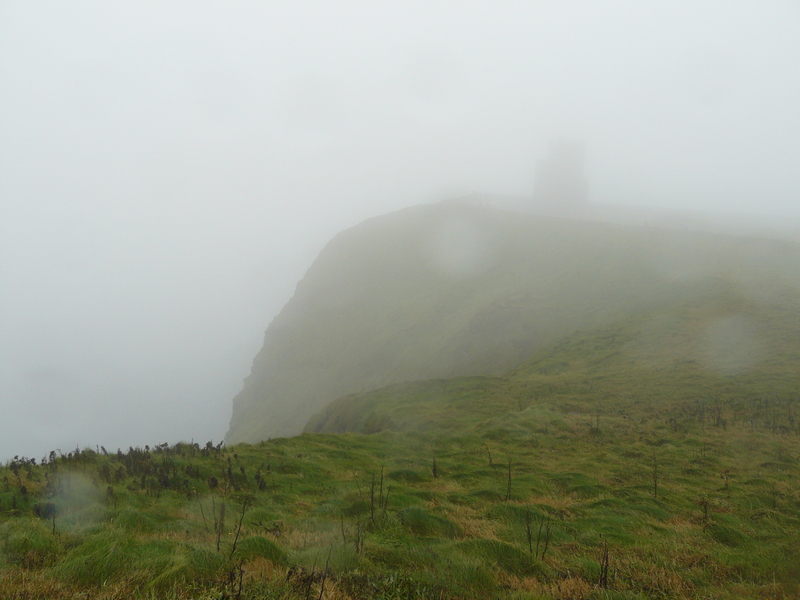 Rain suits Ireland, gloomy clouds swirling around castles, black clouds on the horizon while the wind whips your hair as you stand on the cliffs, fog covering the gap of Dunloe and then lifting as you turn a corner in your horse pulled cart. There is just something about it. And after all, there is a reason the place is so green. Bad weather is practically a source of pride, it is expected. You can always tell the tourists, we’re the ones with the umbrellas pulled out with the first few drops of rain while the Irish people barely notice. Its one of those places you can grab a car and drive, which does help keep you get out of the rain, of course only until you turn the next corner and have to jump out to see a gorgeous view of the sea or countryside, wander a small town or explore castle ruins. I flew to Belfast, Northern Ireland and rented a car. 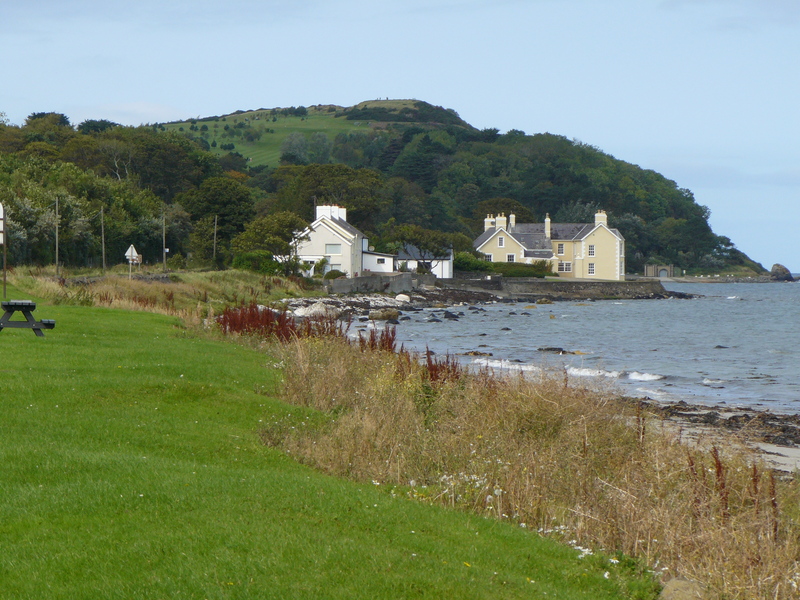 I started out of Belfast and drove the loop North along the coast past the Giant’s Causeway to Derry/Londonderry, then South into the Republic of Ireland through Galway to Kerry to stay in Killarney, East along the South coast to Kinsale and Cobh and then North through Kilkenny to Dublin. I hit the main tourist spots along the way, such as the Carrick-a-Rede bridge, the Giant’s Causeway, cliffs of Moher, Ring of Kerry, Blarney Castle and the sights of Dublin. The rain didn’t stop me even though it rained every day except one. 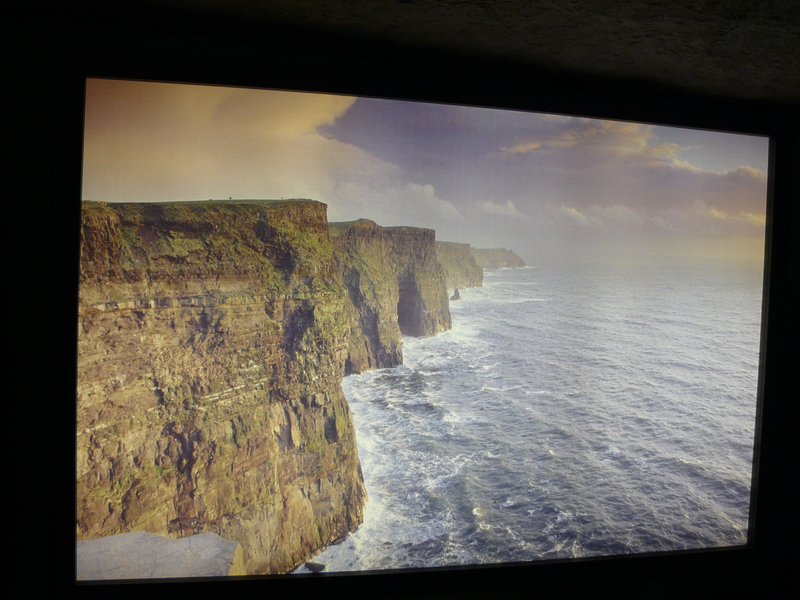 Only one place was it a real detriment, I could not see a thing at the cliffs of Moher. Luckily there was a visitors centre where there were some nice pictures so I knew what I had missed. Its a good excuse to go back. In spite of the weather it is one of my favourite trips. Every part of the country is beautiful, there is so much to do and see and the people are truly amazing. Everywhere you go the people are friendly and helpful. 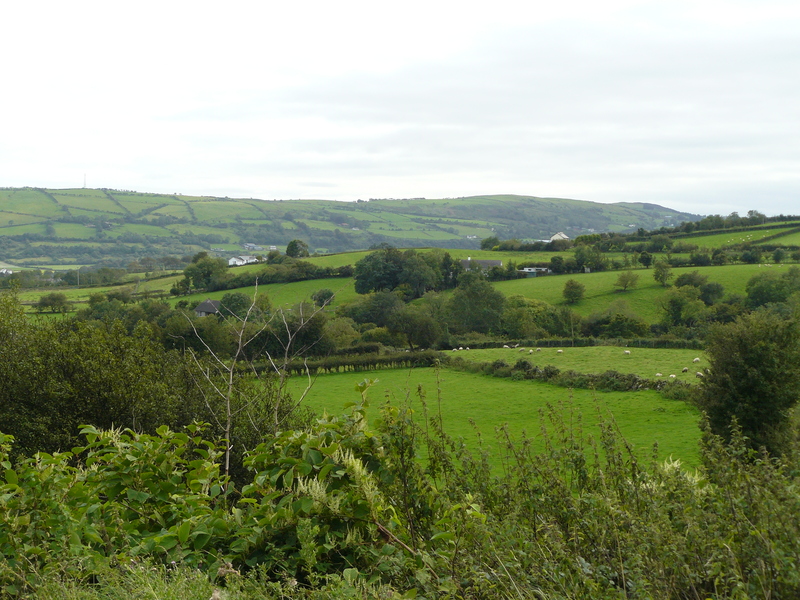 My best tip for Ireland is talk to people because, aside from the lovely accent, some of my best tips on what to see around Ireland came from chatting with locals. One of the easiest places to meet locals rather than tourists is in the pub. There are few things to do in the evening which are more fabulous than sitting in a pub in Ireland, drinking Guinness, and listening to a band while chatting with the people around you. One of my favourite stops was based on a tip from a local in Killarney who said we had to stop in Cobh (which I had never heard of). 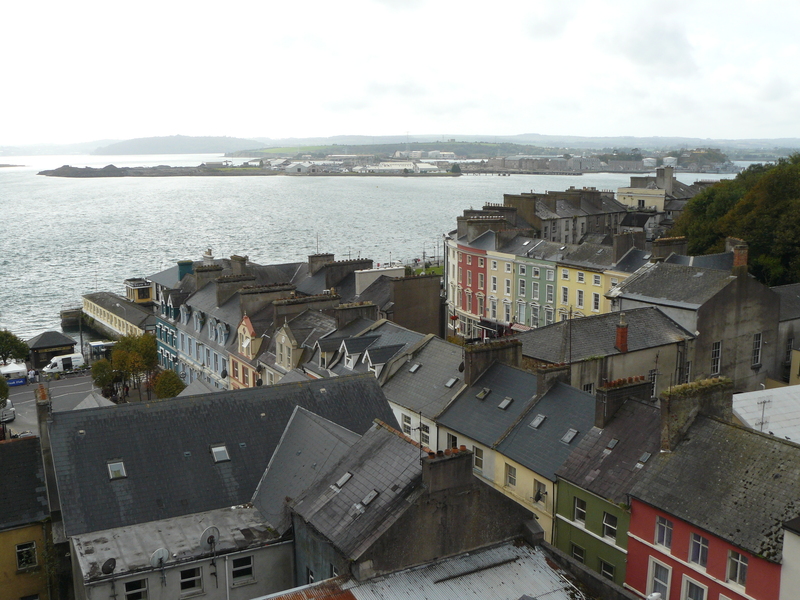 Cobh was the last stop of the Titanic before it set sail. It is a beautiful town on the coast, with a gorgeous cathedral, quaint main street along the water and a fantastic museum about the Titanic and Irish history, particularly the mass Irish emigration around the world. 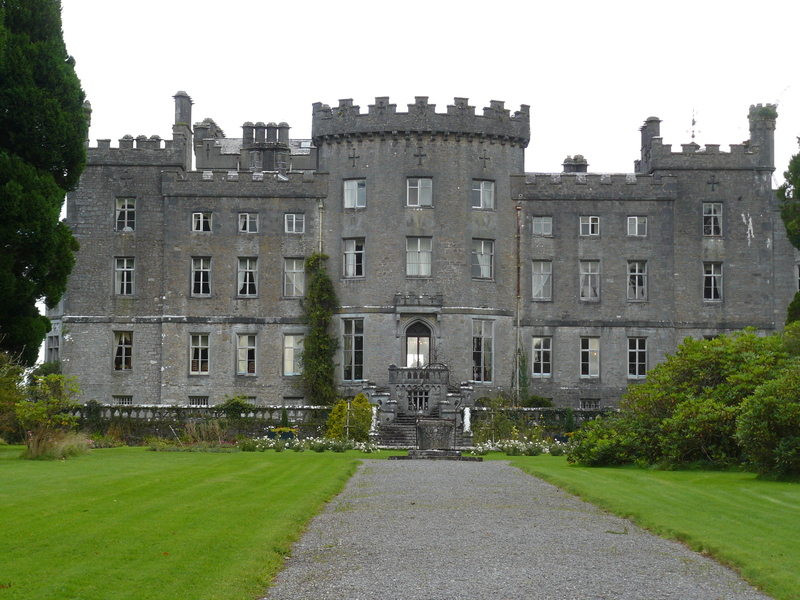 Plus I stayed in two castles, hard to beat! A true princess fantasy come to life, one an 18th century style, very elegant, and the other 15th century style, it was even heated by a roaring fire, felt like I was in Henry VIII’s era. Gourmet dinners in Kinsale in County Cork. It is known as the gourmet capital of Ireland and has some great restaurants in a beautiful town which was an old fishing port. The horse-drawn cart ride through the Gap of Dunloe in County Kerry. The horse’s name was Jovi, he had a partner named Bon who wasn’t working that day (the driver was a fan). Staying in as many castles and manor houses as I could afford. They are gorgeous, charming and usually have a delicious restaurant. I found amazing deals in September and only had to book about a day in advance. Wandering Kilkenny castle and after that a night at the pub listening to an Irish band playing traditional Irish songs, with a few modern ones thrown in. 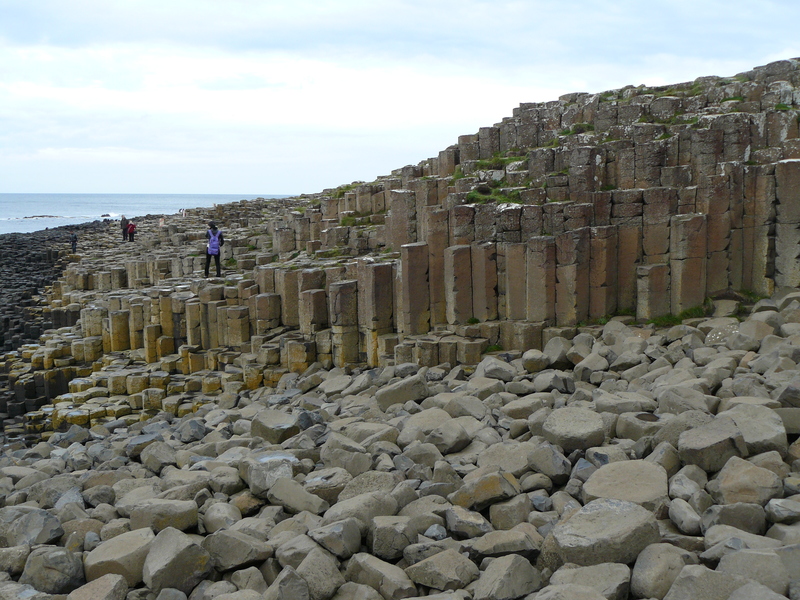 The Northern Coastal highway where there are awe-inspiring sights every kilometre including the surreal Giant’s Causeway. Wandering the streets of towns like Cobh and Killarney. I didn’t spend enough time in either place, especially the Cobh museum, and cannot wait to go back. And remember to stop and have a Guinness. Somehow it just tastes that much better in Ireland when sitting in an Irish pub listening to live Irish music. 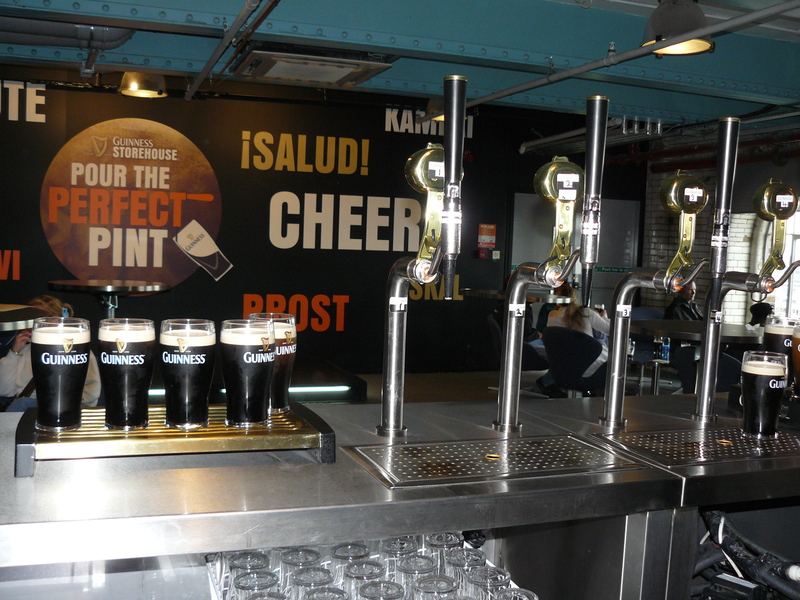 Or at the Guinness factory in Dublin, you can even pour your own pint. 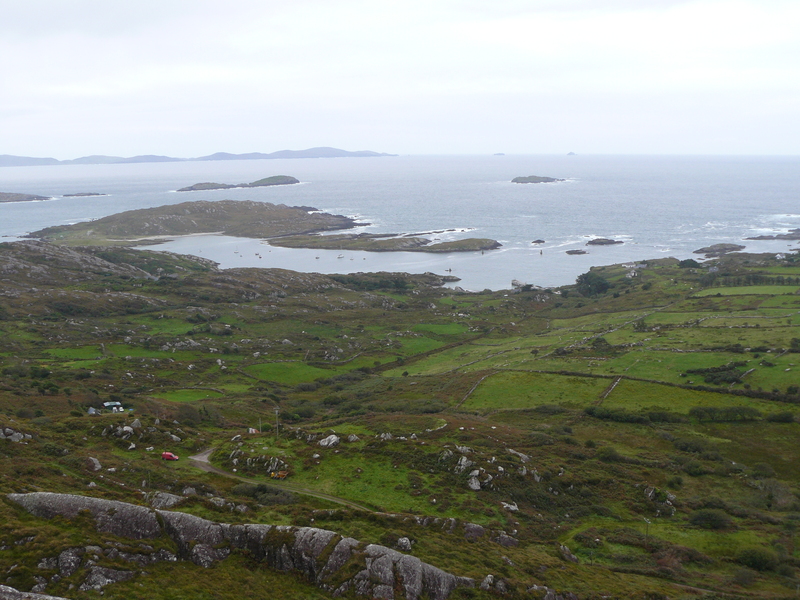 I recommend Ireland as an amazing destination, even though you should expect it to rain some, if not all, of the time. A raincoat and an umbrella are a must. But, as everyone in Ireland told me to remember, you don’t come to Ireland for the weather.